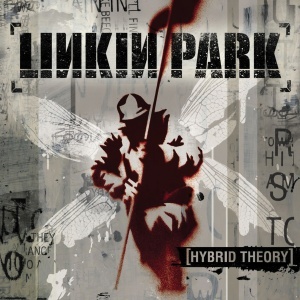 "Cure For The Itch" is the eleventh song on the album Hybrid Theory. It is entirely instrumental, focussing on Joe Hahn's scratching and sampling abilities. The title is a joke referencing it's composition; the cure for an itch would be a scratch, which is what the song is made up of. "Cure For The Itch" was a song created by Mr. Hahn and Mike Shinoda. Its original working title was "Mr. Hahn". On a linkinpark.com chat, Mike Shinoda said, "cure for the itch was my attempt at doing a song without words. i was trying to do something that would fit into a movie"
Speaking to Rock Rage in October 2000, Mike explained how the song came together: "That particular song is something that our DJ, Mr. Hahn, and I came up with. It came from a beat that he did with the drums that he did and the strings that I arranged. From there we just kind of went off in an electronic direction that I thought was cool. And I think it turned out really well. We’re totally happy with that. The band was totally stoked about it." In the same month, Mike was questioned by ShoutWeb if he was the person talking at the beginning of "Cure For The Itch", to which he answered: "No. It's not me! That's someone else. Go ahead. I'll give you a good name. I will tell you it's Remy. Some day you'll figure out what that means." During an interview with Dynamic Rock earlier that year, Mike had said: "Mr. Hahn has a split personality named Remy. Remy is a dangerous man. He keeps the rest of us on our toes." Joe later went on to say "'Remy' is a lie. Some idiot made that up." A minute long music video for "Cure For The Itch" was created and released on Frat Party At The Pankake Festival in 2001. Samples Skull Snaps' "It's A New Day" and Beside's "Change The Beat (Female Version)". The CD dates from July 5, 2000. Differences within the scratching and voice effects. Released on LPLive for free download on April 9, 2011. Remix by Joe Hahn (credited as Chairman Hahn). Samples Hybrid Theory's "Step Up", Linkin Park's "Points Of Authority", and The Crystal Method's "Name Of The Game". The Hunting Party pre-order bonus album through linkinpark.com. "Cure For The Itch" was often used as an opener for Linkin Park shows in 2000. Throughout the first half of the year, Joe would perform an abbreviated version of the song, which would then be followed normally by "Papercut". The song was dropped midway through the Kottonmouth Kings' "Ridin' High" Tour, where "A Place For My Head" took the reigns as the opening song. The song returned for the very first shows of 2001 on the Hybrid Theory European Promo Tour, where a more complete version of the song was played than 2000, yet still not the full song. After that mini tour, the song was dropped and only appeared once more in 2001, in the encore of the band's show in London, England. When questioned about the song, Mike said, "we don't do cure for the itch right now, because it kinda would break up the momentum of the show." The song did not return to Linkin Park setlists for six years, in 2007 on the Projekt Revolution tour during the Minutes To Midnight touring cycle. A brand new remixed version of the song appeared as the opener of the encore in Set B. At the very end of the tour, when the band began performing a hybrid setlist known as Set D, the song was moved to the second slot in the encore, as "The Little Things Give You Away" became the new encore opener. This carried over to Set B on the following Minutes To Midnight Asian Tour, as well. The song returned mid-way through 2008, on the second Minutes To Midnight European Tour of the year, in Set Z, where the remixed version of it yet again opened the encore. The song was performed on Projekt Revoltuion 2008, in that tour's iteration of Set Z, where it opened the first encore. The song was eventually added to Set Y as well, replacing "We Made It" after Busta Rhymes was forced to leave the tour due to his record label, where the song opened the second encore. Eventually, in Set Z, the song was moved up to open the second encore, as well. "Cure For The Itch" made a brief appearance on the A Thousand Suns tour, where the Minutes To Midnight tour remix version opened two shows; in Las Vegas, Nevada and a Music For Relief Benefit. Part of the song was performed on The Hunting Party World Tour, where it was featured in Joe's solo. When the band performed Hybrid Theory in its entirety at the Download Festival, "Cure For The Itch" was performed in full for the first time. This version of the song featured Mike doing the narrated vocals for the track. Dates marked with an asterisk (*) indicates first known appearance of the variation. The date may not be the exact debut or final performance of the variation. Folks, we have a very special guest for you tonight. And now, for a lesson in rhythm management. "Cure For The Itch" is featured in the 2004 film Riding Giants. This page was last edited on 6 August 2018, at 12:02.